Car-free Jalan TAR: A new 'lepak' port! HAMID used to operate a restaurant along Jalan Tuanku Abdul Rahman. His nasi beriyani may be on the pricey side, but this has not discouraged regular customers and new ones. He died a few years ago. But the restaurant continues to this day, managed and operated by his sons. Hamid’s children have inherited a thriving business, one that their father took almost 30 years to establish. If Hamid is still alive today, he would be laughing all the way to the bank. Every table in his restaurant is taken during lunch. It’s almost the same during dinner. In fact, his restaurant is very popular during Ramadan. His mango lassi is also popular. The restaurant always has a good supply of Indian mangoes, always tempting and a firm favourite. Hamid, may all his sins be forgiven and good deeds rewarded, would be very pleased if he knows that Dewan Bandaraya Kuala Lumpur wants to turn his beloved Jalan TAR into a pedestrian mall. He would welcome this news with open arms and perhaps even throw a beriyani party on and off. Knowing Hamid, he would probably be looking at more outlets to add to his existing two. In this city, and perhaps throughout the country, any news about innovation and change would be greeted with apprehension and doubt. We are so much into our comfort zone that a positive announcement such as a car-free Jalan TAR would upset us and cause us sleepless nights. Endless hours were spent on analysing the move, looking at the demerits more than anything else. compliment Denmark for its Stroget — a 1.1km stretch of carless shopping paradise. And what about Qianmen Street in Beijing? These naysayers wouldn’t bat an eyelid to heap praise on the famous shopping street with old and new buildings competing and complementing each other side by side. And don’t forget the renowned Quanjude Roast Duck Restaurant! 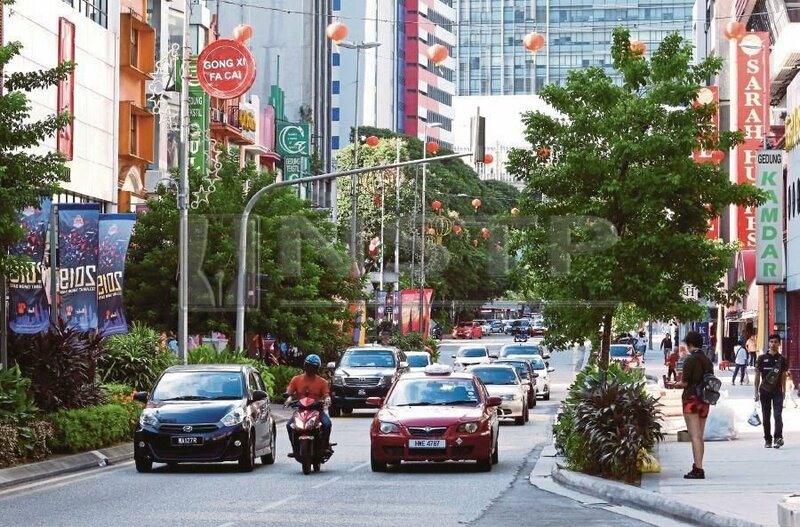 Jalan TAR, from the Sogo shopping mall down to just before Dataran Merdeka, would be car-less from March 15 onwards. This same stretch is also designated as the location for the Ramadan Bazaar in a few months time. Jalan TAR has been synonymous with shopping for as long as many city folks can remember. Apart from Globe Silk Store with its Don brand shirts, other well-known outlets were Kassim Restaurant (beriyani and murtabak), Selangor Emporium (closed many years ago), CJ Doshi (apparel) and Chotirmall (also apparel). In the 60s, and up to the 70s, the middle class did their festival shopping in Jalan TAR. I recall accompanying my friends whose fathers were civil servants and professionals doing so. As already reported, the Jalan TAR stretch would also be the location for the Deepavali bazaar and so on and so forth. Mark my words, Jalan TAR would then be one of the preferred “lepak ports” (hangout) for the young. With buskers performing there, shoppers would have a grand outing with family and friends. As it is, the buskers showing off their talent in front of the Sogo shipping mall are already attracting a large crowd on most nights. It’s time for some real innovative ideas from DBKL. I’m glad to see our mayor, Datuk Nor Hisham Ahmad Dahlan, coming out defending the decision strongly. Actually, may I also suggest to the mayor to also make Dataran Merdeka a pedestrian mall? The Dataran is so popular with tourists every day of the week. Make is easy for us and the tourists too, Datuk! Make a case for it and many will support you. Jalan TAR is so very congested 24/7. Weekend nights are the worst. Shoppers and stall operators compete for space so much so they trouble the passing traffic. What a shame. If DBKL stands firm with this decision, a few years down the road Jalan TAR will be a “must visit” spot in the country. But several measures must be taken to make this a success. Educating the shopkeepers and stall operators must be number one on the list — be friendly, don’t be rude, smile, keep your place clean! DBKL must do the same for Jalan Bukit Bintang, another happening part of the city. Take a walk there and see the standstill traffic in front of Starhill, Westin and the Pavilion. It’s madness and a waste of time and fuel. Will turning these places into pedestrian malls reduce the flow of vehicles into the city? I’m not too sure about this. Many city folks drive their big vehicles to go into the city, often alone. And then they kick up a fuss about not finding parking and the gridlock. Don’t they see that the city is lined with trains and buses?